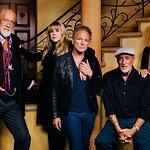 An auction of music memorabilia from celebrities including Jimi Hendrix, The Edge, Bono and Paul McCartney has raised $2.4 million, much of which will go to a charity for musicians. 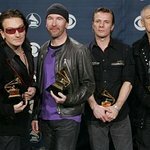 Music Rising, whose founders include U2 guitarist The Edge, replaces musical equipment lost or destroyed by Hurricanes Katrina and Rita. The Edge donated his favourite guitar, a 1975 Gibson Les Paul that has been played on every U2 tour to date. Like many of the items sold, the guitar’s forecast sale price of $60,000 to $80,000 was greatly exceeded by the eventual winning bid of $288,000. Further guitars owned by Jimi Hendrix, Bob Dylan and Paul McCartney were sold for $480,000, $192,000 and $81,600 respectively, while a pair of sunglasses belonging to Bono fetched $24,000. Bidding at the auction on 21st April lasted three hours longer than planned, and all 204 lots were sold. 100% of the proceeds from many items will go directly to Music Rising, while other items were sold only partly to benefit the charity.